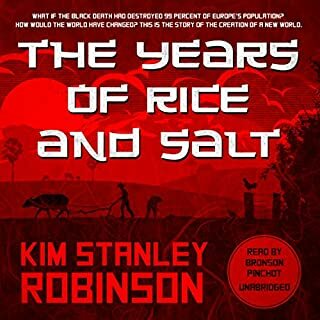 The best-selling author of the classic Mars trilogy and The Years of Rice and Salt returns with a riveting new trilogy of cutting-edge science, international politics, and the real-life ramifications of global warming as they are played out in our nation's capital-and in the daily lives of those at the center of the action. Hauntingly realistic, here is a novel of the near future that is inspired by scientific facts already making headlines. When the Arctic ice pack was first measured in the 1950s, it averaged 30 feet thick in midwinter. By the end of the century it was down to 15. One August the ice broke. The next year the breakup started in July. The third year it began in May. That was last year. It's an increasingly steamy summer in the nation's capital as Senate environmental staffer Charlie Quibler cares for his young son and deals with the frustrating politics of global warming. Charlie must find a way to get a skeptical administration to act before it's too late-and his progeny find themselves living in Swamp World. But the political climate poses almost as great a challenge as the environmental crisis when it comes to putting the public good ahead of private gain. While Charlie struggles to play politics, his wife, Anna, takes a more rational approach to the looming crisis in her work at the National Science Foundation. There a proposal has come in for a revolutionary process that could solve the problem of global warming-if it can be recognized in time. But when a race to control the budding technology begins, the stakes only get higher. As these everyday heroes fight to align the awesome forces of nature with the extraordinary march of modern science, they are unaware that fate is about to put an unusual twist on their work-one that will place them at the heart of an unavoidable storm. Are you kidding me, this guy who read the book is so bad! He reads like he is reading it for the first time and sounds like a low-end AI voice in a low budget Sci-Fi B-movie. I listened to the first five minutes of this book and gave up. The narrator reads in a robotic monotone that throws me out of the experience. He..talks...like...this...with...small...pauses...between...each...word. I wish I'd checked out the preview before I bought this. I am actually upset I gave a credit for this. This is the worst READER, yes, reader - NOT narrator, I have ever heard. I think most 6th graders could read better. I don't even know if the actual book is any good because I could not get past how it was being orated. I think the book might really be good, but the narrator made the book really difficult to get through. I feel he was too monotone and not sure I would purchase another book that he narrates. I'm wondering if the narrator was required to read in a boring monotone. He picks up when he's imitating the characters so I know he can read with more charisma but, wow. Also, I thought the book would be similar to the movie "The Day After Tomorrow" with more action about the 'impending storm.' Maybe I'm being premature because I'm only to the SECOND half of the book, but their still just talking about global warming. I'm finding it difficult to continue on... I will, and hopefully I'll be pleasantly surprised. I had high hopes of this book, the jacket sounded good and I like these kind of books. But... the narration is very monotone, no life in it. The story is boring, sorry it is. read the amazon reviews and they will tell you the same thing, wish i had read them first. It has some interestingt parts, but all in all not worth a credit! I haven't had the pleasure of the Mars books yet, althouhg i have down loaded them. Hope they are better!! Yeah ... the ... narator ... is ... horrible ... ! He's got an annoying 4-3 beat going for most of the book. And the monotone almost drove me nuts. 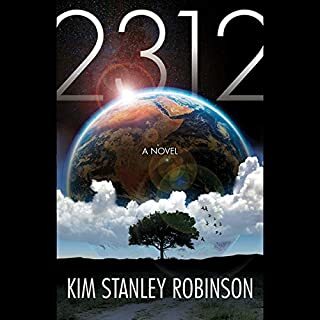 I like Robinson (the Mars trilogy) but this lacks any clear structure. The characters are not believable. The action doesn't make sense. And the some of the geographical details are flat out wrong (I grew up in the DC area). I'd like to comment on the science but what there was of it was so scattered and isolated that I couldn't decide if it made any sense. The author provides a foreword which is fine but the main narrator is either the best available text to speech computer program or a flat, wooden reader. His presentation and especially his cadence are quite distracting. The narrator of Forty Signs appears to have just learned to read. He spoils what might possibly be an interesting read. It was very hard to tell if I liked the book or not because of his odd pacing, his lack of inflection and his weird robotic pronouncing of certain words and sentences. I gave the book 2 stars more for the author's sake, because it's quite possible this is an interesting book. I can honestly say I would NOT recommend buying the audio version of it. If I read the sequels I'll buy the actual books. The story line has little relationship to Sci-fi or fantasy. The writting style is entirely too verbose, with significant time spent in descriptive detail that has very little bearing on the story line. The real story is the middle age crisis that the main character is enduring, not global warming. Narration is dry and plodding. The narrator rarely displays the real feeling that the scene should invoke. 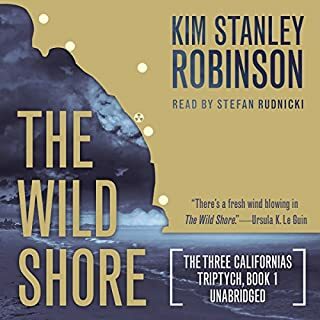 I bought all three books in this series but I am not sure if I can handle listening to this narrator for another two books. He is deadpan, slow, completely lacking in any animation, and seems unable to convey different characters through tone. I realise that this isn't about the book itself, but a poor narration kills an audiobook for me. 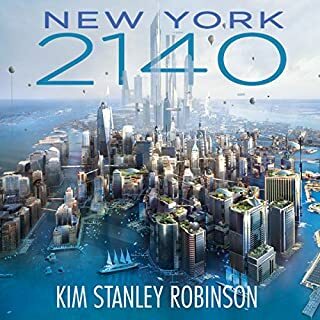 I highly recommend that you listen to the preview before buying this or other books in the series and see if you can handle listening to this robotic monotone for 60+ hours. 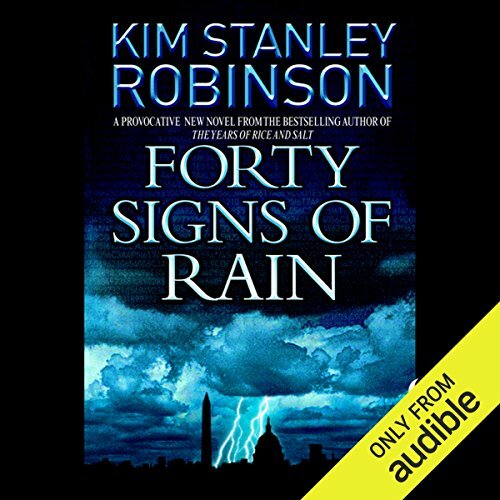 What did you like most about Forty Signs of Rain? I really enjoyed the whole story. I liked the fact it didn't just focus on one person or group, but looked at how events affected things all around the world. The characters were all sympathetic, and believable. What other book might you compare Forty Signs of Rain to, and why? I can't really compare it to anything else, as this isn't really my usual genre at all. But it was a really pleasant surprise. It wasn't as preachy as I imagined, and the different characters really held my attention. I really didn't enjoy the narration. The pace was too slow for the drama, and the tone was almost robotic. I also didn't enjoy his female voices, I thought they were a bit cliche ridden. The Inevitable Future - unfortunately I think this is where we as a species are heading. I look forward to listening to the next two books in the series. I really enjoyed this story, and want to find out how things end. A really good story that builds a world facing the real issue of global warming. The characters are interesting and the plot moves at a good pace. If you ever wondered what global warming might do to the earth, sit back and enjoy this treat. Unfortunately the narration is the worst I've come across by a mile. I had to speed up the reading just to get through. 1.25x worked ok. Listen to a sample of this book before you download. Ask your self can you really put up with 12 hours of this guy infecting your brain. I actually think that this guy might be a computer program narrator? 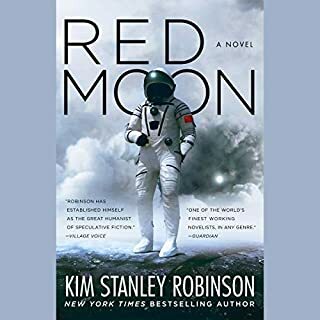 Firstly, if you have never read Kim Stanley Robinson before take my advice don’t read this read the Mars Trilogy which him at his spectacular elegant articulate best. Secondly, the narrator is not good; monotone in style and unemotional. 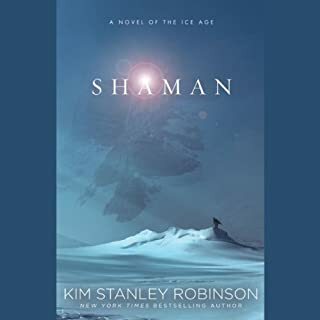 Which given Kim Stanley Robinson likes to talk copiously about science and philosophy really undermines the book. It end up sounding more like a dull university lecture. If however you liked the mars trilogy and are interested in science, research, Washington politics, global warming, how animals in zoo’s are saved from flooding, what it is to be a Mr Mom and have about 14 hours of your life to use up….